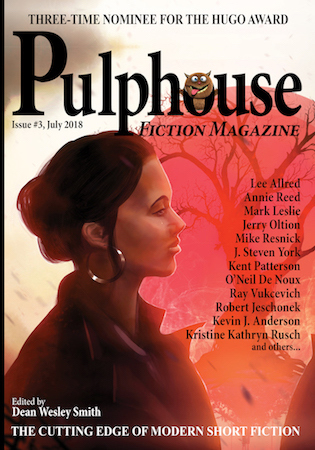 Publisher’s Note: Pulphouse Issue #3 has arrived! If you’re wishing you could take break from reality about now, how about escaping into some fantastic short fiction? Issue #3 of Pulphouse published last Thursday, and it’s cheaper than any vacation. Best of all, you get to enjoy it from wherever you are. If you’re a subscriber, the books will be on their way to you automatically. If you’re not, click here to buy Issue #3 or here to subscribe to the magazine. I promised in last week’s blog that I would have more information in this week’s blog about the WMG Publishing Business Master Class. Well, I keep my promises. If you’ve been to the Master Class before and are thinking “been there, done that,” you couldn’t be more wrong. This year’s class features some amazing developments that take the Master Class to a whole new level (and that’s saying something). Some of these changes were facilitated by the workshop’s move to Las Vegas. Others are the result of a rapidly evolving industry. But what won’t change: the incredible amount of information exchanged in this must-attend workshop, which will be held Oct. 19-24, 2018, at the Golden Nugget in Las Vegas. New York Times and USA Today bestselling writers and renowned business and industry bloggers Kristine Kathryn Rusch and Dean Wesley Smith lead this intense five days of business and publishing learning. Kris and Dean are joined by nine other experts. — Mark Leslie (Lefebvre), acclaimed writer, podcaster, editor, and formally with Kobo. — Kevin J. Anderson, New York Times bestselling writer and co-owner of the premier indie press Wordfire Press. — Rebecca Moesta, New York Times bestselling writer and co-owner of the premier indie press Wordfire Press. — David Farland, New York Times bestselling writer, Hollywood expert, and executive editor for Writers of the Future. — David P. Vandagriff, aka The Passive Guy. Premier blogger, expert in publishing contracts, and an IP attorney. 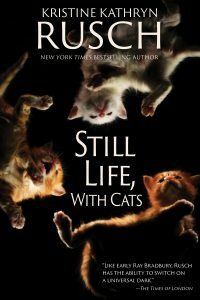 — Christina F. York, bestselling science fiction and mystery writer under a number of names. — Gwyneth Gibby, WMG Publishing Associate Publisher and an expert on the promotions aspects in publishing. — Andrea Pearson, host of the popular Self-Publish Strong podcast. — Donna Cook, author, editor, and publishing consultant. Plus others to be announced, including T. Thorn Coyle as panel moderator. This workshop focuses on selling more books, selling subsidiary rights, indie publishing, the business of indie and hybrid, and the constant changes overwhelming us all. Plus, a focus on networking. Lunches with experts, group breakfasts, time to talk, and every evening a hospitality suite to talk and plan and get to know other professionals. This is the Premier Publishing Business Workshop for indie writers. You can read full bios on the instructors and find all the information you need to sign up here. And check back to that link often, because we’ll be adding new and exciting information as we continue to develop this incredible workshop. I’ve been talking to my sister a lot lately about being strong women in our 40s. She and I have been through a lot the past few years that have sparked this conversation. I’m a bit ahead of her, as I should be because I’m the oldest. But we both marvel at the changes in ourselves. Mentally, we’re in the best place we’ve ever been. We know who we are, and we won’t accept what isn’t true to that. As a result, my sister and I are having frank, open conversations for the first time in our lives. We fought like cats and dogs as kids. We never hated each other, per se, but we certainly didn’t enjoy spending time with each other. As we matured into adults, we became closer, but there was still a gulf created by the pain and misunderstandings of our childhood. We walked on eggshells, forever afraid of offending each other. But now, well, those days are long gone. There is nothing, and I mean nothing, we can’t and don’t talk about. We lean on each other for advice and support. We share the craziness of raising our kids. The challenges and joys of our marriages. How different we are now. And how (who knew?) we are so very much alike. Her life is in transition, just like mine has been the past couple of years. And I know that although it’s tough now, she’ll be so much happier in a couple of years. She’ll have let go of the baggage of our youth and embraced her power and her potential. My only regret is that we live on opposite coasts so I can’t be there in person to help her through it and witness first-hand the amazing woman she is becoming. Thank goodness for modern technology. And thank goodness I’m surrounded by other strong women, both real and fictional. 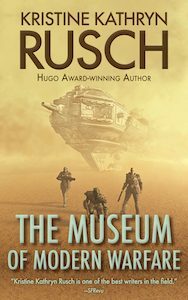 Speaking of, the latest book by one such real woman—Kristine Kathryn Rusch—is now available for preorder on Amazon (it was already available on Kobo and some other retailers). 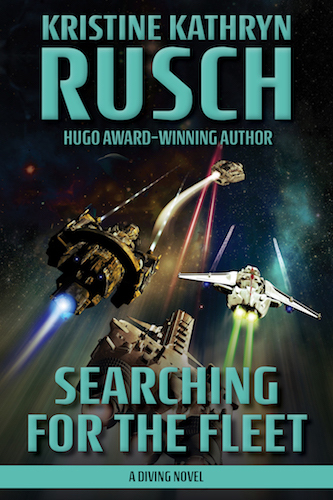 Searching for the Fleet is part of Kris’ Diving Series, which is known for its strong female characters. So if you’re feeling empowered, grab this latest novel now so you can start reading the moment it’s released, which is Sept. 18, 2018. You can find more information here. I’m writing this blog on my older laptop because my newer laptop is in the shop, so to speak. I had stopped using the older laptop for everyday work (and got the newer, which was new when the company bought it less than a year ago) because it had gotten completely bogged down. When you have more than 600 titles, you have a ton of files. And some of those files (like the photo and design files) are huge. And let’s not even consider the size of the video files. As a result, the entire WMG digital inventory takes up more than a quarter terabyte. As in 275GB or 2,750MB or 2,750,000K. Remember when 64 to 100MB storage seemed like a huge amount of storage space? I do. Now, I have individual files that big. And that adds up. But that was only part of the problem. Because all of my advanced computer programs need a lot of RAM to run. That combination of factors rendered my older laptop more or less useless. It used to be that we housed our digital inventory on my computer (with several backup systems). But that became untenable. So now, we have moved everything to the cloud (with physical backups, of course). That helped with problem number one. But problem number two remains. Now, my newer laptop has more RAM but the same about of storage space—250GB. As I mentioned, we moved our inventory onto the cloud, and all of my computer programs are more or less on the cloud, but they still need to sync to the hard drive to be usable. This isn’t normally a problem. Until a syncing error causes a cascading effect of file downloads to fill up the hard drive and render the computer useless. As happened to my newer laptop today. It’s fixable and I’ll lose nothing (thanks to cloud syncing and backups), but it’s still annoying. I need to access the cloud on or plug a backup into something, so I’m thankful for the backup laptop. Even if I’ve just spent the past three hours updating the damned thing. It still has RAM problems, which is why I’m writing this in Google docs instead of Word, but the point is I have options. If this had happened a few years ago even, I would have at a minimum lost productivity until my computer was fixed or I bought a new one. Now, if necessary, I can use apps on my phone to edit and write documents, check my email, sign contracts, you name it. I’m still functioning almost at full capacity, and that’s just amazing to me. In fact, I was shocked at my reaction to the crash. It has been a very stressful week, and I’m fried. Under similar circumstances in the past, I would have lost it when I realized that the crash was beyond my technical expertise and I’d need a professional. But today, the moment I realized I’d lost all function on it I also realized that I’d lost, effectively, nothing. Now that, my friends, is a wonderful feeling. So, while change is hard, it can also be wonderful. And that’s also how we feel about the next change I’m going to talk about: Moving the WMG Coast Workshops to Las Vegas. The Oregon Coast, you see, is a bit like my old laptop. Not quite capable of keeping up with the latest technology. It’s a beautiful place for our workshop participants to visit, but we’re not super accessible (the last hour of the drive out here is on windy two-lane roads). And our technology infrastructure can be problematic. Plus, it’s a small town with limited amenities, including, and especially, conference space. Now that the primary instructors for all of our workshops—Kristine Kathryn Rusch and Dean Wesley Smith—have moved to (or are in the process of moving to) Las Vegas, we decided it was time for a change. Starting with the 2018 Master Class, we’ll be at the Golden Nugget on Fremont. Details on that, and the whole slate of 2019 workshops, can be found here. We’ve even got a revival of the Kris and Dean show on the books! I hope you enjoy the new opportunities this move offers. And as a reminder, if you can’t or won’t travel, we have a whole slate of online workshops available right on your computer. Or your phone or tablet, if your computer is in the shop.